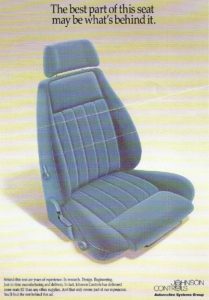 Johnson Controls’ new $9.36 million Orangeville, Ontario automotive seating plant began production on August 24, 1987. The 115,000 square-foot plant made seats on a just-in-time (JIT) basis for the Eagle Premier that was produced at the new AMC assembly plant in Brampton, Ontario. About 160 workers were employed at the plant producing metal and foam seating components, as well as trimming and assembling complete seats. In addition, eleven Asea welding robots were engaged at the plant at a cost of $1 million each. The Orangeville facility was the first JIT seating plant built in Canada. It was tied by computer to the AMC Brampton plant in order to manufacture and deliver seats within four hours of a request. 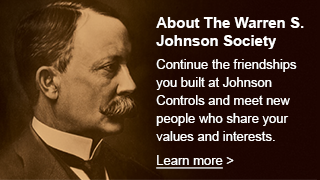 Johnson Controls had entered the automotive seating business two years earlier with the acquisitions of Hoover Universal and Ferro Manufacturing.